Jane Robbins of the American Principles Project has published a report that lays out the oft-stated “playbook” talking points (7 of them) by the proponents of Common Core Standards, and then Robbins documents the TRUTH about each point. To make it easier for readers, I have reformatted the article to help them to identify easily each of the seven PRO-CCS BOGUS TALKING POINTS and then Jane Robbins’ well-documented TRUTH ABOUT EACH TALKING POINT. My suggestion is that the public use Jane Robbins’ careful documentation to counter the Pro-Common Core Standards talking points that the education establishment, politicians, lobbyists, and vendors love to throw around so glibly. When faced with the TRUTH, their talking points come off looking pretty empty! My only addition to Jane Robbins’ article is the following links to three reports that detail how much it will cost states’ taxpayers to implement and administer the Common Core Standards including the cost of Testing, Professional Development, Textbooks, and Technology. Not only are the CCS an inferior set of standards, but they will cost state taxpayers millions to implement! At a time when states, cities, and individuals are struggling to keep from going bankrupt, the fact that taxpayers will be stuck with millions of dollars to implement and administer an inferior set of curriculum standards that have never been internationally benchmarked nor piloted before adoption is bordering on being the “stupidest” education fad ever! PRO-CCS BOGUS TALKING POINT #1: The nation’s Governors recognized this [education] problem almost 15 years ago and began a process that eventually led to states collaborating on the Common Core State (sic) Standards. THE TRUTH ABOUT POINT #1: The claim that the Standards resulted from a “state-led” process is misleading at best. In 2007, the Bill and Melinda Gates Foundation and the Eli Broad Foundation pledged $60 million to inject their education vision, including uniform “American standards,” into the 2008 campaigns. In May 2008, the Gates Foundation awarded the Hunt Institute for Educational Leadership and Policy a $2.2 million grant to promote the adoption of national standards. Soon afterwards, the National Governors Association (NGA) and the Council of Chief State School Officers (CCSSO), two DC-based trade associations, began accepting foundation grants to start the Common Core Initiative and propagate the Standards. In December 2008, to provide guidance to the incoming Obama Administration, NGA, CCSSO, and their DC-based contractor Achieve, Inc., set out their vision for the Common Core Standards in a document entitled Benchmarking for Success. This report, as well, was funded by the Gates Foundation. The Benchmarking report argued for “a common core of internationally benchmarked standards” and cited the creation of Common Core as a joint project of NGA, CCSSO, Achieve, the Alliance for Excellent Education, and the Hunt Institute. The Florida leaders’ claim that Common Core was “state-led” implies that these organizations had grants of legislative authority from individual states. In fact, the Common Core Initiative was a plan of private groups being implemented through trade associations. Since 2007, NGA, CCSSO, and Achieve accepted more than $27 million from Gates alone to advance the Standards and the connected data-collection and assessments. Even if the process had been state-led, one might ask, so what? Why should other states have a vote in what Floridians teach their children? Why should California or New York or any other state have any input into what goes on in Florida schools? 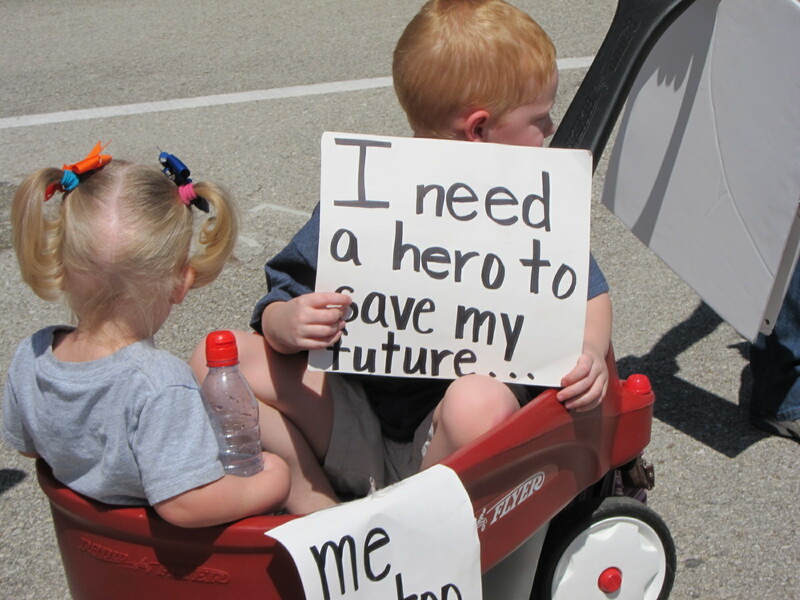 Florida parents and teachers recognize the dangers of this, even if politicians don’t. The CSCOPE Narrative- it is District led, written By Texas Teachers for Texas Teachers! 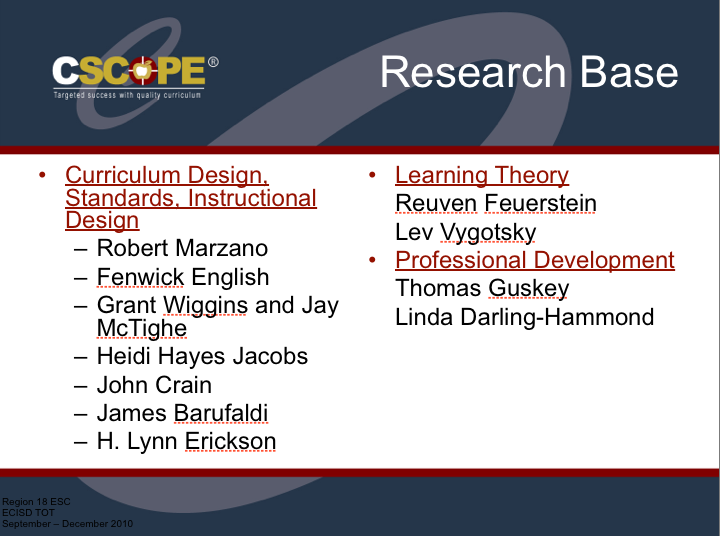 Who are those teachers and why does the CSCOPE slide have Linda Darling Hammond as Professional Development? PRO-CCS BOGUS TALKING POINT #2: Common Core is not a federal dictate or national mandate. States are free to adopt the standards or to not adopt them. And, if they have already adopted them, they are free to drop out at any point. THE TRUTH ABOUT POINT #2: The federal government was deeply involved in “persuading” states to adopt Common Core, by tying the Standards’ adoption to the chance to receive federal grants through the Race to the Top competition. A state that refused to adopt Common Core and the aligned assessment lost 70 points in the competition (out of 485 possible points). This meant the state had no hope of compiling enough points to receive a grant (and in fact, no state was awarded a grant without adopting Common Core and the national test). During a time of deep recession, few states were willing to forego the chance at federal money – regardless of the strings attached. If the Common Core proponents were honest, they would admit that they never could have convinced enough states to sign onto the national standards without the federal “persuasion.” The U.S. Department of Education (USED) reinforced the desirability of retaining the Standards by linking No Child Left Behind waivers to their implementation. So states have kept the Standards to increase their chances for more federal favors. But they are certainly free to drop out, and we encourage them to do so. 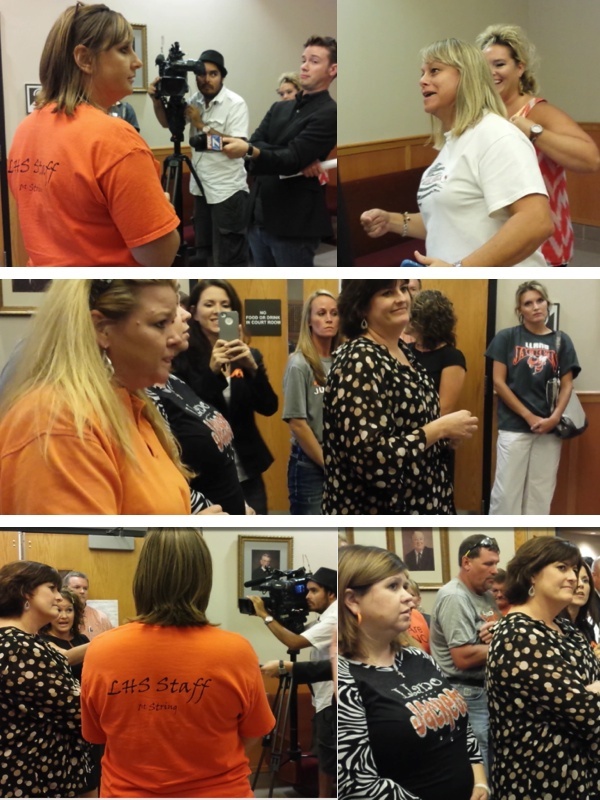 CSCOPE narrative~ It is about local control~ Districts are free to use it how they would like. The problem is Superintendents are led by the ESC (Education Service Centers) who sell the CSCOPE system of control to the districts. Who is left out of the picture? Teachers and Parents! PRO-CCS BOGUS TALKING POINT #3: Some have alleged that the new standards change laws around student data and privacy. They don’t. Regardless of adopting the Common Core, states remain in control of their students’ private information, just as they are now. The federal government does not have access to individual student-level data – just aggregate information by school on how students are performing. States must remain vigilant in working with local school districts to continue protecting student information. THE TRUTH ABOUT POINT #3: This claim ignores the cooperative agreement between USED and the PARCC testing consortium, of which Florida is the leader. That agreement obligates PARCC to send to USED all student-level data it receives from Florida during the testing of Florida students. And once that data gets to USED, it can be sent to literally anyone in the world. That is because USED has gutted, by regulation, federal student-privacy law. USED plans to use student-level data not only for evaluating education programs, but for unrelated “research.” So students’ personally identifiable information could go to the Departments of Labor, or Health and Human Services, or the IRS – literally anywhere. Indeed, the U.S. Department of Labor has been explicit about what it will do with the student-level data it receives from USED – “developing or improving state workforce longitudinal data systems with individual-level information [and] enabling workforce data to be matched with education data to create longitudinal data systems . . . .” Parents will have no right to object to these uses of their children’s information; in fact, they won’t even know the sharing has occurred. Even if Florida withdrew from PARCC, USED is becoming increasingly aggressive in demanding student-level data. Education officials in Texas, which did not accept Common Core or the national tests, have had multiple disputes with USED about the data its bureaucrats have demanded. USED has invested millions of dollars in Florida’s school data systems, and the hope that it will not demand the fruits of its investment is naïve at best. The federal government can’t build a workforce for a managed economy without student data, and student data it will get – unless Florida officials step in to stop it. In Texas HB 2103 passed and was signed into law that sets up three education research centers who have access to student and teacher data. PRO-CCS BOGUS TALKING POINT #4: The Common Core State Standards only set academic expectations in English and Math. They do not dictate curriculum – the textbooks used, the reading assignments handed down, the lesson plans employed by teachers, and the thousand other methods or materials used to help students learn. The standards are merely benchmarks for what a student should know by the end of the year at each grade level, from K-12. Ultimately, local school districts and teachers remain in control of their curriculum and in charge of their classrooms. THE TRUTH ABOUT POINT #4: In the first place, content from other subject areas will be injected into English classes through the English language arts (ELA) standards, which are entitled “English Language Arts and Literacy in History/Social Studies, Science, and Technical Subjects.” More importantly, the claim that Common Core has nothing to do with curriculum is simply untrue. As former US Department of Education (USED) general counsel Kent Talbert and Robert Eitel have documented, curriculum inevitably follows from standards. That’s the point of standards. From Talbert and Eitel’s report: “These standards and assessments will ultimately direct the course of elementary and secondary study in most states across the nation, running the risk that states will become little more than administrative agents for a nationalized K-12 program of instruction and raising a fundamental question about whether the Department if exceeding its statutory boundaries.” States and local districts’ “flexibility” will be reduced to choosing one Common Core-aligned textbook over another Common Core-aligned textbook. The claim that the national Standards “do not dictate how teachers should teach” is, in many respects, false. An English teacher who spends 80 percent of her time teaching great literature may not continue to do so, but must substitute a large chunk of nonfiction texts. A geometry teacher who uses the traditional Euclidean method must now teach Common Core’s experimental approach instead. A first-grade teacher who teaches the standard algorithm for addition and subtraction is forced to use alternative “fuzzy math” approaches. One middle-school math teacher reports that he was told to abandon his direct-instruction method of teaching and employ instead the “project” method, which he recognizes to be ineffective in math, because that is what Common Core requires. In these and many other areas, the Standards dictate the methods. The mandates to teachers about teaching methods are particularly evident in the mathematics standards for the early grades. A child who solves problems using the standard algorithms (i.e., the methods that have been used for thousands of years) finds her correct answers marked wrong. The only acceptable answers are those that require her to “explain” her answers by parroting arbitrary “alternative” methods for working the problems. Despite the Common Core proponents’ claim that this mandate promotes “critical thinking,”this is nothing but the same recycled “new math” that was tried and abandoned decades ago. Ignoring this history of failure, Common Core tries again to impose the notion that students must spend less time working math problems and more time explaining the underlying concepts of what they are doing. Does the research support the argument that students are more successful with math using this technique? To the contrary – research concerning top-performing countries shows that students do better in math if they are required to work math problems (lots of them), not merely explain math problems. A report by the American Educational Research Association examined the math standards of high-achieving countries, Finland, Japan, and Singapore, and discovered very little alignment to Common Core. All three of these countries “place a much greater emphasis on ‘perform procedures’ than found in the U.S. Common Core standards.” In fact, “[f]or each country, approximately 75% of the content involves ‘perform procedures,’ whereas in the Common Core standards, the percentage for procedures is 38%.” If the Common Core math drafters want U.S. students to compete with students from these countries, perhaps imposing standards with only half the math-performance requirements is not the best way to go about it. Most parents see Common Core’s “math explanation” techniques as a colossal waste of time. Forcing teachers to require students to explain their work in highly scripted ways is accomplished at the expense of essential practice in working math problems with the standard algorithms. Not only does the “explanation” focus waste precious class time, it slows down the progression, as students who have mastered a skill are stalled with the busy-work of drawing pictures and memorizing scripted explanations. Generations of mathematicians, scientists, accountants, and engineers excelled without learning the “critical thinking” of Common Core, which suggests it isn’t so critical after all. CSCOPE is not about the lessons, it is about the Curriculum Framework!! Now the system is in place for the Common Core Philosophy of Education! PRO-CCS BOGUS TALKING POINT #5: Some have expressed concern about Common Core’s impact on parental choice. Common Core State Standards in no way impact the right of parents to choose the best educational opportunity for their child. We already have academic standards; we are just raising the bar. Home school parents and parents with children in schools that do not receive state funding remain completely unaffected. In non-traditional public schools that receive either voucher money or other state-funding, the current dynamic remains unchanged. 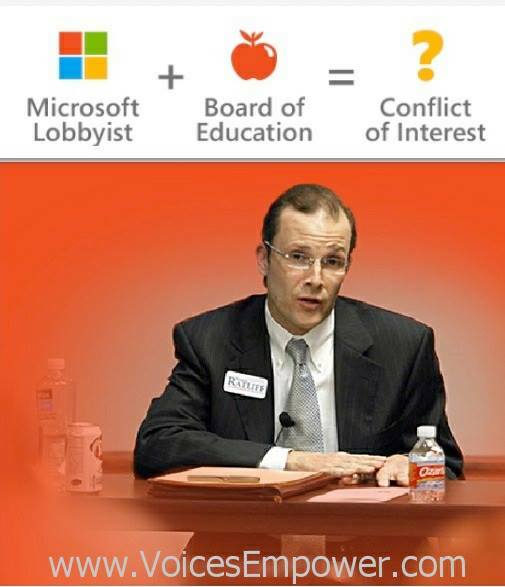 THE TRUTH ABOUT POINT #5: David Coleman, the non-English-teacher who wrote the ELA standards, is now the president of the College Board. He vows to align the SAT with Common Core. Common Core alignment is also expected of ACT and GED. If all this happens, private-school students and homeschooled students who intend to go to college will be forced into a Common Core-aligned curriculum. This means, among other things, that they will have to learn strange and experimental ways of doing math, and will be forced to focus on more nonfiction than great literature. And homeschoolers are already seeing that some of the curricula available to them are being aligned to Common Core. The idea of the Common Core proponents is that, ultimately, Common Core will engulf all of American education. There will be no escape. In Texas the GED is aligned with Common Core so even if you Homeschool your child they will need to pass the GED so they must know the Common Core philosophy. PRO-CCS BOGUS TALKING POINT #6: Any exercise of this magnitude will have its supporters and detractors, its legitimate criticisms and its inevitable conspiracy theories. The simple questions for Florida are these: Will these new standards ensure we provide our kids with a better education and the taxpayers with a better return on their investment? Will the new assessments be better than the existing assessments? Will students graduate high school more prepared for college and the workforce? THE TRUTH ABOUT POINT #6: In fact, these are not the only questions to be asked in a constitutional republic. Even if the answer to these questions were “yes” (it isn’t), the further critical question is how Floridians could achieve the same result without relinquishing their constitutional autonomy over education to unaccountable private interests and the federal government. The answer is simple: Florida could upgrade its own standards and testing to something far superior to Common Core. Even the Fordham Institute, which the Gates Foundation has paid $6 million to promote Common Core, admits that Indiana’s previous standards, for example, were better, and in fact some of the best in the nation. (In fact, Fordham rated Florida’s previous math standards superior to Common Core. )So why doesn’t Florida keep its math standards and adopt Indiana’s ELA standards? If implemented properly, those standards could propel the state to educational success – and Florida would reap the benefits of out-competing the mass of states that settled for Common Core. It is quite astonishing to see supposedly conservative Republicans accept the argument that a centralized national “solution” is better than one crafted at the state and local level. PRO-CCS BOGUS TALKING POINT #7: Read [the Standards]. Listen to what teachers say about them. If you disagree, do so from an informed perspective. THE TRUTH ABOUT POINT #7: All across America, teachers and parents who were deprived of a voice on Common Core before it was adopted are now researching the Standards and assessing whether this is the best we can do – and whether it’s what we should do in a constitutional republic. We are finally having the debate the people were deprived of in the rush to get the Standards implemented before the backlash could begin. We welcome the discussion.